Massachusetts based musician and composer Jim Matus has released albums under several band names, the common thread being a focus on progressive world fusion. The 2001 released ISHQ album by Paranoise was my introduction to Jim’s music, followed by three Mawwal albums. 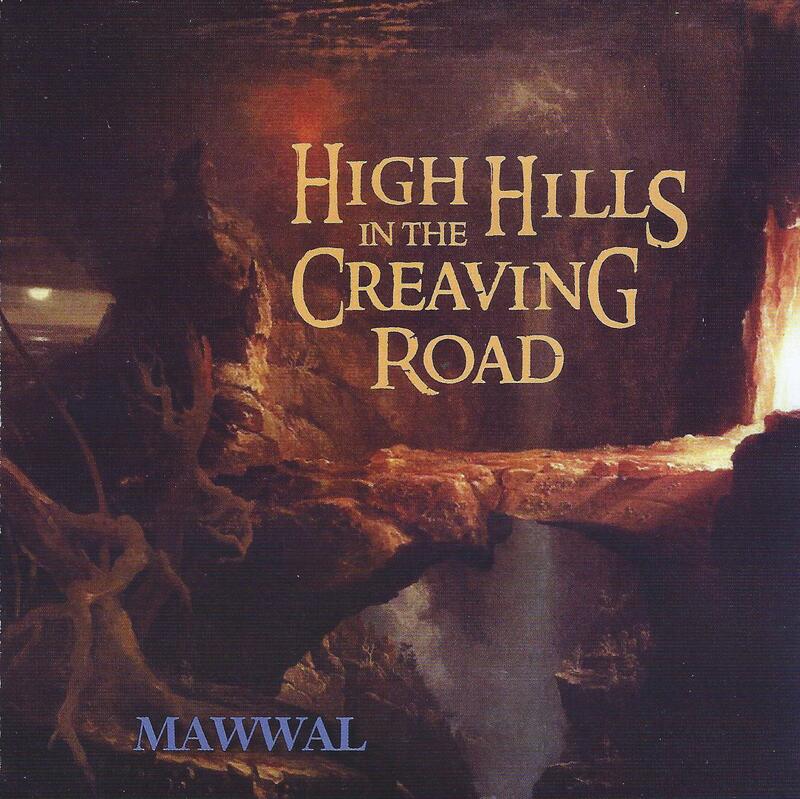 Though familiar with them all, the new Mawwal album – High Hills in the Creaving Road – is the first of Jim’s music I’ve reviewed, and the first question that crossed my mind while listening was what the heck does “Mawwal” mean? Jim’s web site reveals that “Throughout the Middle East ‘Mawwal’ is a form of popular music that often criticizes society and is performed through improvisation.” CLICK HERE for a Wikipedia page with additional details. As you might by now guess, the music on High Hills in the Creaving Road is highly influenced by Arabic themes, though there are significant African influences as well. The album consists of Matus penned songs and traditional songs that Matus arranged. The album opens with Youmala, a traditional Gnawa song arranged and with additional lyrics by Matus. This prompted another Google search and Wikipedia page from which I learned that, “The Gnawa people originated from North and West Africa.”, and “Gnawa music is a rich repertoire of ancient African Islamic spiritual religious songs and rhythms.” The song has great grooves and I love the sound of the ethnic acoustic string instruments, which struck me as African versions of the sitar (in the feel they communicate rather than the sound). The vocals, both male and female, are passionate and have an uplifting spiritual quality. Search “Youmala” on YouTube and you’ll get several hits, including a variety of Gnawa music. One More Arabia is similar, but with tabla-like percussion more prominently adding to the groove. Mustt Mustt is a cover of a Nusrat Fateh Ali Khan song arranged by and with additional lyrics by Matus. (Another one worth searching on YouTube for a reference point.) Mawwal’s interpretation is very much in the spirit of Ali Khan, but the acoustic instrumental/percussion combination and beautiful soloing violin, along with the Matus/Jill O’Brien vocals give a distinctive Mawwal character to the music. We Must Fall features steadily grooving ethnic percussion, incredible vocals from Jill O’Brien and Laila Salins, some of which are almost operatic, and pied piper soloing from the bansuri flute, which Wikipedia describes as “a transverse flute of India made from a single hollow shaft of bamboo with six or seven finger holes”, and to my ears sounds like something between a flute and a piccolo. The title track is one of the most compositionally intricate songs of the set, with the stringed instruments and percussion seeming to be operating in multiple thematic directions, yet it all comes together seamlessly. The violin solos and vocals are nearly feverish in their intensity, and Percy Jones’ fretless bass, not surprisingly, injects a jazz element to the piece (Jones just guests on this one track). Khawaja Piya is a traditional Pakistani song arranged by Matus, and another one worth a YouTube search for the valuable reference points it returns. The song has beautiful instrumentation, including cool grooving tablas. No Finer Men Than We is a little different, with the vocals giving the music a Celtic feel, while the instrumentation remains firmly in the Middle Eastern themes that characterize the rest of the album. But we’ve also got trumpet, adding yet another dimension to the music, the whole being a variety of intriguing contrasting elements. Wrapping up the set is what seems to be a dual song. Kosh Chenare is a traditional Uzbek song arranged by Matus, which blends into the Matus composed The Burden’d Air/Eleven Shreds Of No. Gently flowing music gives this a somewhat pastoral feel, though the grooves kept my body in motion and the characteristically impassioned vocals kept me inspired and alert. Aural Innovations readers will be well acquainted with the use of Middle Eastern and Indian themes in psychedelia, and while Mawwal is by no means a psych band, the music transported me in ways very similar to what I experience with psychedelic music. Though it certainly seems like all the music is carefully arranged, most of the songs have a loose jamming feel that allowed me to groove along comfortably throughout the entire album.